Tourists from all the world are welcome! 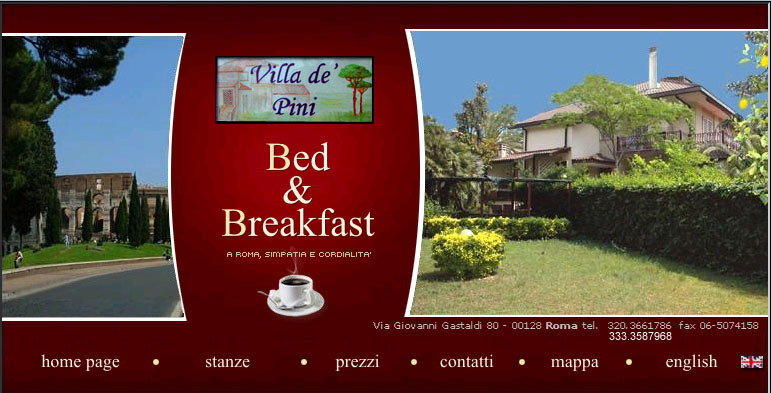 We wait for You in our villa with garden and many facilities for your holidays in Rome. English and german spoken. Your opportunity to live Rome in the quiet and green atmosphere of our garden where You can organize fantastic barbecue! Outside our house, the bus stop to carry You wherever You want. In 5 minutes you can reach the underground. Just 20-25 minutes (depending on the trafic) to arrive in Piazza di Spagna! We are near both airports Fiumicino and Ciampino (20 minutes). Unbelievable quality-price rate! The service of a *** hotel and the pleasure of a family staying in Rome! Contact us and we will reply in the same day ( click on the envelope to contact us ). Ask us discounted rates for long period (more than a week). List price price valid until 30 september 2014 . Payment: cash payment is required at Your arrival as You immediately receive the keys.